We’ve seen a lot this year. Some amazing accomplishments, but also some horrific tragedies. The fact is, the actions of people with a lot of power influence our daily lives. To end 2014, I have compiled a list of 15 people who I believe are to be the most influential of the year. Ranging from world leaders to artists, I have taken everyone into consideration and this list is uniquely mine. The premier of China, Jinping took office last year. He has taken moderate steps to reduce corruption and to lessen the grip the government has on the people, though we must wait to see how much of this continues. Will the Umbrella Revolution in Hong Kong influence any of his decisions? Cameron, Prime Minister of Great Britain, has faced opposition from both the Labour Party and his own Conservative Party. However, Cameron has stood firm for Britain and her interests in the Middle East, and is a key player in the ongoing Russian conflict. After overthrowing Muslim Brotherhood President Mohammed Morsi in July of 2013, General Al-Sisi has been an uncertain rock that Egypt has stood on. Elected as President in June of 2014, we must wait to see if Al-Sisi is a democrat or another dictator for a weary Egypt. Michael Brown’s death in 2014 at the hands of Officer Darren Wilson reopened the debate on race, poverty, the use of force by police, and the justice system. It also revealed that, sadly, we are very much the same country we were 50 years ago when it comes to race, except just less blatantly. Lebron James made by far the biggest sports news (yes, bigger than Ray Rice) by announcing he was returning to the Cavaliers. There, he has helped the team accumulate a 18-13 record, and has proven that, even at the age of 30, he is still the greatest basketball player of the 21st Century. Starring in the 2014 films “The Hunger Games: Mockingjay – Part 1” and the critically-acclaimed “X-Men: Days of Future Past” Jennifer Lawrence is on a mission to prove that acting is not a lost art along with empowering women. Her influence is not likely to go anywhere but up. An influential mainstay, along with being one of the greatest actresses in Hollywood history, Angelina Jolie has not gone anywhere in 2014. Starring in “Maleficent” and continuing her work with refugees through the UNHCR has easily earned Jolie a spot on this list. The greatest comedian to come out of Hollywood since Johnny Carson, Jimmy Fallon now hosts that legend’s “Tonight Show”. Fallon has proven he is a comedic legend himself many times over, and is a breath of real comedy in the (luckily ending) Age of Adam Sandler. I believe that 2014 may be the start of the new Comedic Age Of Jimmy Fallon. Thank God for that. The most influential leader the Catholic Church has had in decades, Pope Francis proves time and time again that his commitment to make the Church a place of greater compassion and tolerance should inspire us all. After taking over as Chair of the Federal Reserve, Yellen became the first woman to hold that position. Yellen’s influence will truly be felt in 2015 as the economy begins to return to more normality after the Great Recession. Recipient (along with Kailash Satyarthi) of the 2014 Nobel Peace Prize (its youngest recipient), Malala Yousafzai has proven that her work for children and women around the world is only just beginning. I consider her to be one of the bravest and courageous people currently living on this Earth. Her influence will only increase. From dealing with the affairs of the European Union to those internally in Germany, Angela Merkel has been waist-deep in every international conflict of 2014. She will be one to watch when the Second Cold War picks up next year and beyond. 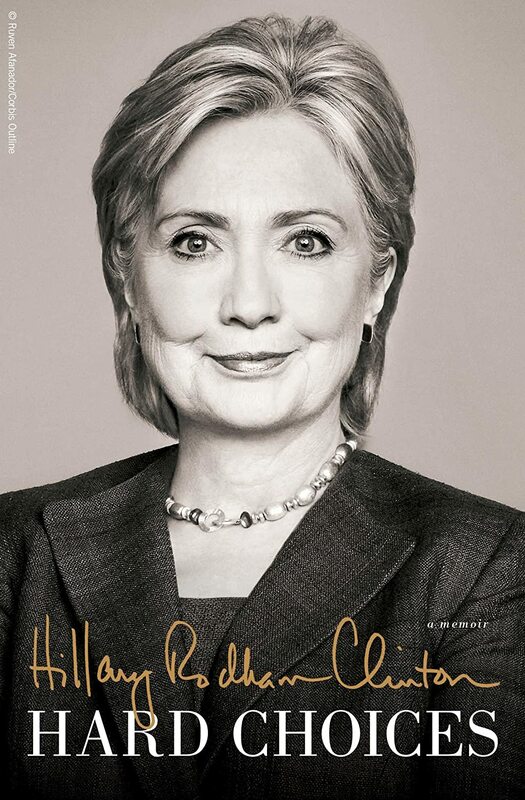 From the publication of Hard Choices to a campaign being run for her even without her officially running yet, Hillary Clinton has proven truly how influential she is to the world. Voted as the most admired woman of the year for the 19th time in a row, Clinton will be gearing up for the beginnings of a presidential campaign next year. 2014 has cemented Beyoncé as the greatest artist ever, surpassing Michael Jackson. From the most successful (5 million+ copies sold), well-crafted, and most-original album since Thriller being released at the very end of 2013 to the On The Run Tour to the legendary VMA performance, Beyoncé has proven herself to be way above any other artist. Worth more than any other black artist at almost $500 million, the most Grammy-nominated artist in history, and her stand as a humanist (real equality for men and women) has made her the greatest artist in history. And she’s only 33. Unhindered by any future election or by what other people think, Obama kicked 2014 into high gear by accomplishing all possible in his power on immigration, civil rights, and the economy. 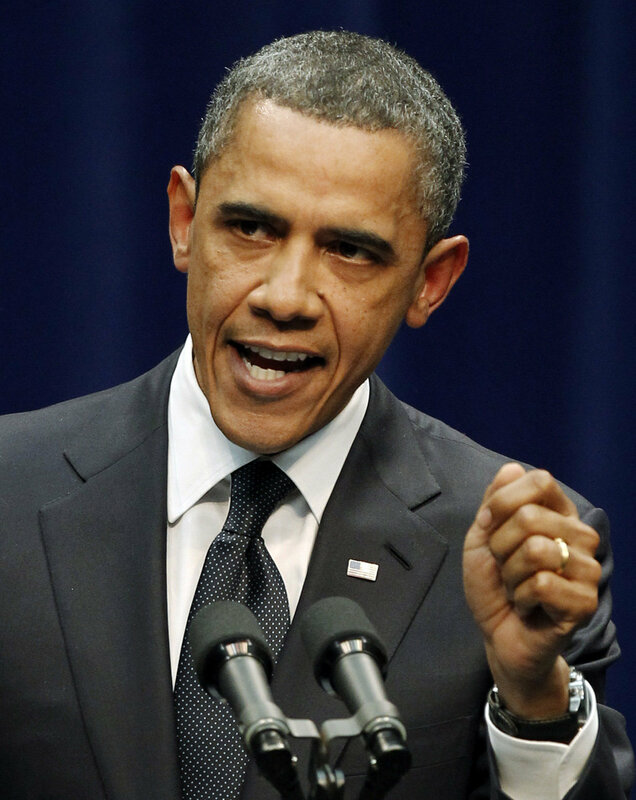 With job numbers almost at 11 million, Obama has proven to be the most courageous leader we have had since Kennedy. He has stood for all free people when it comes to Russian aggression, and defends American interests by leading the fight against ISIS. I am excited to see what he accomplishes in 2015. I have covered the Russian invasion of Ukraine on this blog, writing a total of 17 articles on it. 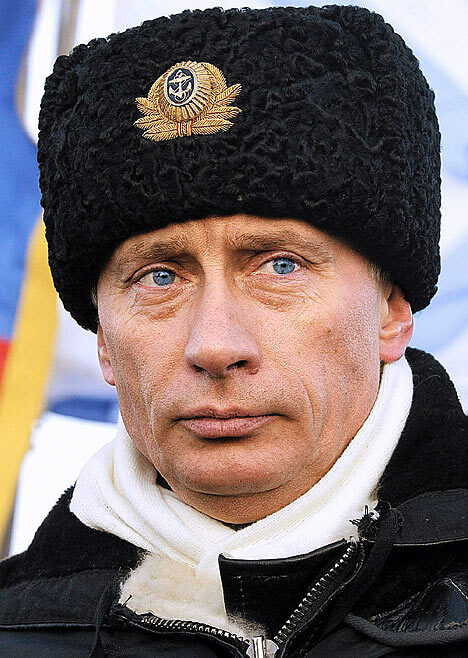 Vladimir Putin, the ex-KGB agent, has embarked on a campaign to “restore Russian greatness”. From the loss of 298 innocents in the downing of MH17 to the systematic expulsion or elimination of any opposition to his administration, Putin has succeeded in starting a Second Cold War. Listen to me when I say that Crimea is only the beginning. All of these choices are my own. The SA-11, or Buk, missile launchers used to shoot down Flight MH-17 as it flew over Ukraine were supplied by Russia, the United States confirms Saturday. “We do believe they were trying to move back into Russia at least three Buk [missile launch] systems,” the official said. US intel was “starting to get indications…a little more than a week ago” that the launchers had been moved into Ukraine by Russia, the official said. The official gave this statement on the basis of anonymity, and it comes after President Barack Obama said that separatists only had the ability to shoot down the plane with outside training or help. The United States is operating on this intelligence, using the belief of Russian involvement to build a response. This statement is backed up by photos released by Ukrainian intelligence that show 2 Buk missile systems moving into Russia from Ukraine. One has all 4 of its missiles, but the other is lacking one. Officials around the world are pointing to this as the smoking gun, implicating direct Russian involvement in the attack. Some are calling this a state-sponsored terror attack, some a direct act of war by Russia on their nations, and others even calling for Russian President Vladimir Putin to be tried as a war criminal. As most of the casualties in the shooting down of the plane were Dutch, the leader of the Netherlands was outraged. Dutch Prime Minister Mark Rutte, who said he had told Russian President Vladmir Putin “that the opportunity is fading to quickly show the world that he is serious about wanting to help.” Dutch officials had previously not commented on the crisis. Reports also say that Russia is in possession of the black boxes on board the plane, and that the separatists are restricting access to the crash site, hindering investigators. If these reports of direct Russian involvement prove true, this would be the worst state-sponsored terror attack in history. An example of this kind of terror that many know would be the Lockerbie bombings by Libya’s Moammar Gadhafi. Most frightening is the facts that many are pointing out about how wars have started for much less. World War 1 began due to the assassination of a single man, and that assassination helped create the culture that started WW2. The site of the downed MH-17 Boeing 777 airplane spans an area of over 9 miles in the eastern Donetsk region of Ukraine. Journalists on the ground report how horrific the scene is, and what items have been located in the sunflower field the plane came down in. Bodies are being marked with sticks tied with white cotton ribbons. Sources report that the local morgue does not have the capacity to handle all 298 of the bodies. In fact, they report that the scene is even more gruesome due to the bodies already beginning to decompose. Items that were also on the plane have been found in the crash site. A tour guide to the popular oceanside vacation spot of Bali was found, along with books in Dutch, children’s coloring books, and passports. Ages of the casualties range from infants to elderly citizens from at least 9 nations, including the United States, Australia, the Netherlands, and Malaysia. International investigators into the crash arrived to hostility from the pro-Russian separatists in the region. President Obama called for the crash site to be left alone by the separatists so that those responsible can be deciphered and brought to justice. The downing of the plane, if the United States’s working theory that Russia supplied the SA-11, or “Buk,” missiles and how to use them to the separatists, would be one of the worst state-sponsored terror attacks in history. This is already the 6th deadliest plane disaster in history. Most devastatingly of all, this is the deadliest intentional plane crash in world history.